Please find here a short overview on the situation in different contries. No guaranty can be given that the information is correct and up to date. The use of cannabis is illegal in Argentina. In 2006 the Argentine judiciary considered the possession of cannabis for medicinal use justified. The case concerned a woman who said that she used cannabis to alleviate her pain. In August 2009 the Supreme Court ruled out prison for cannabis possession saying that "each individual adult is responsible for making decisions freely about their desired lifestyle without state interference." The medical use of cannabis is not allowed in Austria. However, there were several acquittals of patients who cultivated and used cannabis for personal medical use. It is possible to prescribe dronabinol and nabilone (Cesamet). It is also possible to import Sativex. Due to the comparatively low price dronabinol imported from Germany is the mainly cannabis product prescribed. In about 60 per cent of cases the heath insurances pay for the costs of a treatment. About 1.5-2 kg dronabinol are used yearly. Medical use is allowed in Belgium to treat glaucoma, spasticity in multiple sclerosis, AIDS and chronicle pain in case conventional medication doesn't satisfy. However, since 4 July 2001 when the Royal Assent for medical cannabis was signed by all ministers concerned, no patient ever started a procedure to obtain a prescription because of the unavoidable labyrinth the administration built around it. tolerated according to a decision from 25 January 2005. It is considered as a minor offence. Physicians can recommend the medical use of cannabis and patients with a recommendation can apply for an exemption from the drug laws and get an approval from the health ministry (Health Canada) for the medical use of cannabis. They can also apply for an approval to grow their cannabis for medicinal purposes or let it grow by a caregiver. Patients may also buy cannabis that is grown with the authorization and under supervision of Health Canada by a licensed grower (Prairie Plant Systems). Physicians can also prescribe nabilone, which is approved for the use against nausea and vomiting in cancer chemotherapy but also used to treat other medical conditions, and Sativex, which is approved for the treatment of pain in multiple sclerosis and advanced cancer. Many patients use illegal cannabis and the medical use of cannabis is often tolerated even without approval. Cannabis and single cannabinoids are not allowed for medical use in Chile. Cannabis is not allowed for medicinal use in Finland. However, the National Agency for Medicines has granted a citizen special permission to use cannabis for the relief of pain in 2006. 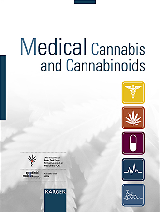 In 2007 the Ministry of Social Affairs and Health announced to publish guidelines on the medical use of cannabis. Cannabis is not allowed for medicinal use in France. It is possible to get an authorisation from the French Security Agency for Health Products (AFSSAPS) to use health products that are not authorised on the french market. From 2001 to 2008 74 of such authorisations have been delivered for Marinol (dronabinol) for a range of different diseases, including pain, appetite loss, nausea, Tourette's syndrome, dystonia and inflammatory diseases of the nervous system. The inflorescences of Dutch origin (Bedrocan and others) can be obtained for import through hospital pharmacies, or through galenic pharmacy. In the first case you can provide to the patient (or the local health authorities if it is a region where there is a provision in NHS regional) the drug at a price of 7-9 Euros per gram, plus "shipping costs" . The essential condition is the statement of the doctor on the lack of treatment options in the Italian territory. In the second case, you just need a prescription filled by any doctor, but the price is charged to the patient and the cost is around € 35-40 per gram. Various regional laws were also approved that in theory make it easier to prescribing, but are still largely unrealized. 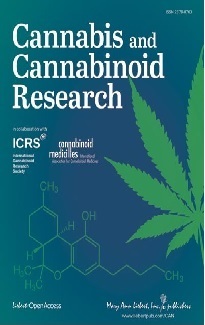 In September 2014, a protocol was approved by various ministries for an Italian production of cannabis at a reduced price, through the Military Chemical Pharmaceutical Institute, but the procedures have yet to be defined. The Ministry of Health has appointed the medical director of a psychiatric hospital, who can approve the medical use of cannabis. The request has to come from a physician, who has treated the patient. The physician has to declare that the treatment so far (using approved drugs) has not been successful and that he recommends cannabis. This cannabis comes from a legal source, a farm that grows it and gives it to patients for free. As of July 2009 700 Patients were allowed to use cannabis. In addition, Professor Raphael Mecoulam is allowed to produce THC from hashish, which is used by physicians of the Hadassah hospital. Physicians can apply to prescribe an "unapproved medicine" that is already approved in any other country. In 2008 first approvals were given for Sativex. The government's medicine regulatory body MedSafe has made available an application form on their web site for doctors to complete. The possession and cultivation of cannabis for personal use and consumption of the drug is legal, unless it is not done in public and it does not have commercial purposes. Cannabis seeds can be sold and bought under restricted conditions. Physicians can prescribe Cesamet (nabilone) and Marinol (dronabinol) against nausea and vomiting in cancer chemotherapy, and Sativex in several diseases. Cannabis is not allowed for medicinal use in Sweden. It is possible to get an exemption for the use of Marinol (dronabinol) or Sativex. Patients who use cannabis for medicinal purposes usually receive the same penalties as recreational users of the drug. Courts refuse to consider a medical necessity defence. Dronabinol is rarely used in Switzerlands since there is only one pharmacy with a permission to sell this cannabinoid, which is imported from Germany. A special permission from the health ministry is necessary to use dronabinol. Currently about 30 patients get dronabinol in Switzerland. The medical use of cannabis is illegal according to the law, it is however often tolerated by the authorities, if it is not associated with commerce or trafficking. In 2008 voters accepted a referendum which would allow the medical use of cannabis products. However, it is still unclear how this move will be realized in practice. Cannabis is allowed for medicinal use in the Netherlands. Cannabis with a medicinal grade is delivered to patients through pharmacies. The Office of Medicinal Cannabis is the official wholesaler in medicinal cannabis. The estimation of patients which use medicinal cannabis through pharmacies is about 500. In 2008 the highest Dutch court decided not to punish a patient, due to a situation of emergency, who grew his own cannabis plants. A lot of patients obtain cannabis from coffeeshops, which are tolerated in many cities and sell cannabis to recreational and medicinal users. The use of cannabis is illegal. However, prosecutions for the possession of small amounts of cannabis for obvious medicinal use is a rare. Sativex may be prescribed as an unlicensed drug for named patients. The cannabinoid nabilone is licensed for the use in chemotherapy induced nausea and vomiting, but is widely used to treat pain and spasticity. On 23 December 2013 President Jose Mujica signed into law the government's plan to create a regulated, legal market for cannabis . That was the last formal step for the law to take effect. Uruguayans will be allowed to buy enough cannabis to roll about 20 cannabis cigarettes a week at a price well below the black market rate. The use, possession, cultivation and sale of cannabis are illegal under federal law. Currently, four surviving patients in the Compassionate Use Investigational New Drug Program have exemptions from this law and receive cannabis directly from the government for their medical conditions. The medicinal use of cannabis is allowed under state law under certain conditions, which vary in the states, in the following 14 states: Alaska, California, Colorado, Hawaii, Maine, Maryland, Minnesota, Montana, New Jersey, New Mexico, Oregon, Rhode Island, Vermont, and Washington. Physicians may prescribe Marinol (dronabinol) and Cesamet (nabilone).